Power plant standards to cut climate-changing carbon emissions will reduce other harmful air pollution and provide substantial human health benefits, according to a new study released Sept. 30 by scientists from Syracuse, Harvard and Boston universities. The research shows that, depending on the policy options included in the final Clean Power Plan, the power plant standards could prevent thousands of premature deaths and hospitalizations, and hundreds of heart attacks in the United States every year. Power plant standards to cut climate-changing carbon emissions will reduce other harmful air pollution, according to the new study. 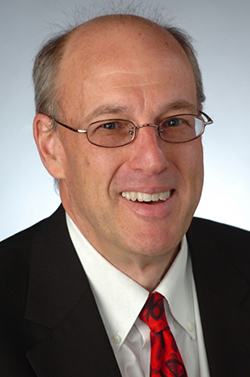 In the new study, “Health Co-benefits of Carbon Standards for Existing Power Plants,” scientists from the three universities, including Charles Driscoll, University Professor of Environmental Systems Engineering Syracuse University’s College of Engineering and Computer Science, analyzed three options for standards to reduce carbon pollution from power plants. They modeled air quality and health benefits for these scenarios and compared them to business as usual in the year 2020. The analysis is called a “co-benefits” study because it focuses on the added benefits of a carbon standard that come from reducing other harmful power plant emissions such as sulfur dioxide, nitrogen oxides and particulate matter. These pollutants are precursors to smog and soot that cause heart and lung disease, exacerbate asthma and contribute to premature death. “Our study shows that standards to cut carbon emissions from power plants can reduce other harmful pollutants, leading almost immediately to cleaner air and improved health,” says co-author Jonathan Buonocore of the Harvard School of Public Health at Harvard University. These added health benefits would help address on-going air pollution impacts in the U.S. “Hundreds of thousands of people suffer serious health problems from air pollution in the U.S. every year, and these health problems mostly occur in areas where pollution is meeting current EPA standards,” says lead author Joel Schwartz of the Harvard School of Public Health at Harvard University. “In a nutshell, our research shows that power plant carbon standards that are both stringent and flexible have the highest clean air and health benefits and could save thousands of lives in communities across the United States every year,” says Driscoll. The three scenarios analyzed by the research team vary in the stringency of the carbon targets, the flexibility in compliance options given to utilities and the levels of investment in end-user energy efficiency. The scenarios were developed prior to the June 2014 release of the proposed Clean Power Plan and represent a range of options relevant to the development of the final standards. • many other health benefits including reduced asthma symptoms. The other two scenarios the researchers analyzed had lower health benefits. The option that is focused on cutting carbon at existing power plants but has limited flexibility for compliance and does not include demand-side energy efficiency (Scenario 3), results in higher carbon reductions but slightly lower added health benefits than the top-performing scenario. The option that is focused only on improving heat rates at existing power plants (Scenario 1), results in very modest carbon reductions and a slight estimated increase in mortality and heart attacks compared to business-as-usual. The results from the three scenarios suggest that power plant standards with more stringent carbon targets can result in greater reductions in carbon emissions and they will achieve larger health benefits if implemented within a flexible framework. “The results from the different scenarios show that policy choices matter and we can’t take health benefits for granted,” says co-author Jonathan Levy of the Boston University School of Public Health. “Whether communities experience these health gains from cleaner air will depend on the details of the final power plant standards,” he adds. Today’s study builds on research the authors released in May by using the air quality changes reported in that study to calculate estimated health benefits. It is the only research to-date that compares the added non-climate health benefits of a wide range of alternatives for the power plant carbon standards and maps them for the entire continental U.S. The maps in the study depict the magnitude of estimated health benefits and where they are likely to occur. The results show that the top scenario would provide health benefits in all of the lower 48 states. The states with the greatest estimated number of lives saved per year under this scenario are: Pennsylvania, Ohio, Texas, Illinois, Michigan, New York, North Carolina, Georgia, Missouri, Virginia, Tennessee and Indiana. All of these states have experienced persistent air quality problems associated with power plant pollution. 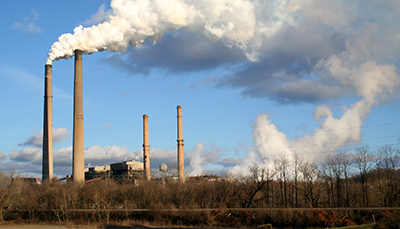 The U.S. EPA is taking public comments on the proposed Clean Power Plan through Dec. 1, and is expected to issue a final rule for carbon emissions from power plants in June 2015. To read the full study, visit http://www.chgeharvard.org/health-co-benefits.